Deer are majestic mammals we see in forests, farmlands, grasslands, even wetlands like swamps. With their large antlers that are akin to the trees in the cold of winter, thin, sturdy legs that swiftly move when they’re startled, and their innocent eyes that speak of their existence in their habitat, one cannot avoid appreciating the beauty and regality of these mammals. You are probably a deer hunter that’s why you stumbled upon this page; and you have come to the right place. 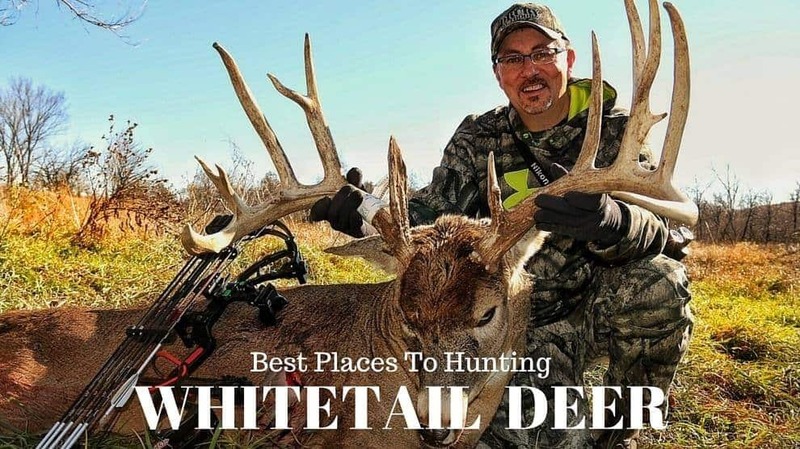 This page will show you the best places to hunt whitetail deer. There are many species of deer found in our planet’s forests, but the most sought after deer are the white-tailed deer. These deer are often called as just ‘whitetail’, and their natural habitats are located in most parts of North America, southern Canada, and a few regions in South America. Since whitetails are herbivores, some parts that have poor natural vegetation can’t necessarily support a herd, such as California where the soil is sandy and hot. White-tailed deer are recognizable for their coats which change from one color to another in every season. They are reddish-brown with white bellies in summers, then turn into grayish coats during winters. As the name suggests, they are called whitetails not just because of the color of the underside of their tails but also because of their behavior that when they are startled. Their tails rise and move side to side, and you see them running away as white beacons. Fawns or young deer have white spots on their backs for easier camouflage to protect from predators who target the young for their vulnerability. As for their size, bucks or male deer are at least the height of a tall man at approximately 1.80 meters. They also have antlers that grow and shed annually. The bigger the antler; the older the deer. The period for growing antlers is from April or May and shed after the winter season, January to March. With their adaptation to their lifestyle in wood areas where the trees are dense, they developed excellent senses of seeing, smelling, and hearing. Though they are colorblind, this doesn’t hinder them from detecting motions that could impend dangers. Along with their excellent hearing that can hear even the faintest of footsteps, they could run away at high speeds of 48 kilometers per hour, also leap at 3 meters height with a horizontal distance of 9 meters. And because they are white-tailed, they could warn their comrades with snorting, and the stomping of their feet, also they flash (or known as flagging) their magnificent white tails to signal others to flee as far away as they can. They are excellent sprinters and can outrun most of their predators, and that’s why those who want to hunt them almost always resort to ambush. Fun fact there is, they are also capable swimmers! Whitetails eat their daily diet in the mountains and forests, where they forage shrubs, vines, acorns, mushrooms, small plants, grasses, fruits, fungi, and even twigs in winter. Aside from those areas, whitetails tend to flock to agricultural places, where they even eat vegetables, garden plants, crops which sometimes make them as backyard pests for the poor farmers to manage. These mammals eat early totaling to 1.8 kilograms at dawn and at dusk, as night falls. These eating times are necessary to shy away from potential predators. But in search for food, they sometimes go out of their main habitat which makes them susceptible to car accidents. What makes them so captivating to humans and predators alike? Large animals see deer as large chunks of meat and are proven to be their favorite food aside from small animals like rabbits and squirrels. Some predators are but not limited to jaguars, bears, lions, tigers, wolves, and coyotes. Humans see deer as an important big game for their hunting sport. They also hunt them for their meat or known as venison. Their meat is said to be more delicious than beef, mainly because of their natural diet and they aren’t injected with any hormones. Apparently due to the popularity of venison, the deer hunting business in the United States of America alone had risen to $50 billion in 2011. Besides their meat, hunters also collect trophy antlers to display in their homes. But aside from decoration, antlers could also be knife handles. Their sinew could be made into jewelry, bow strings. Their hide could also be made into human clothing to guard against cold weather. How many are there in the wild? There aren’t significant dwindling of their population because they bred annually. Their population is estimated to be around 8 to 15 million in the whole of American continent. Whitetails are also protected by their local states because they’re game mammals and hunted on specific months. They also incline to overpopulate in areas where there is human interference, like cutting of trees, because they have more volume of shrubs and small plants to forage. The life expectancy of a deer is 20 years at maximum. But because of being hunted, almost all of them don’t reach ten years. So before you do hunting of these whitetails, be certain that they are old enough already! Where are the best places to hunt them? White-tailed deer are found in all over USA mainland except for California, and south Canada. As such, they could be hunted wherever you like deer season. Thus, it is best to survey where they are always found. Statistics says that there are lesser chances of hunting whitetails in states where the challenging weather is the main issue, number of hunters in an area, large snowfall density, diseases, size of the public hunting in a state, and inability of bucks to reproduce because they are hunted at already a year old, etc. But despite those, licensed hunters aren’t discouraged not to hunt them where they are seemingly overpopulated. The required skills to be a hunter are marksmanship, techniques, and the equipment to use. 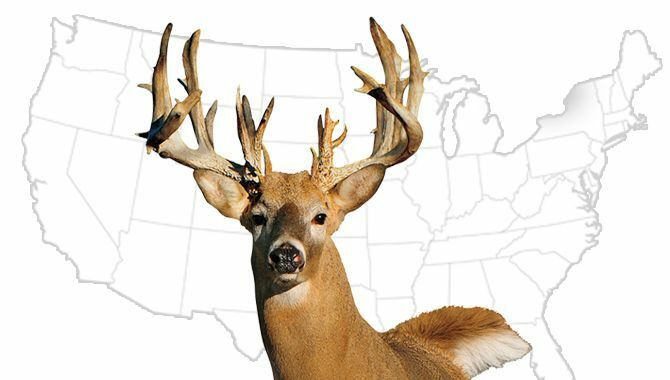 The following are the states in the USA alone where it is best to hunt deer for sport. Because Texas is the second biggest state next to Alaska, it is only natural that the whitetails are also big, in size and population. 60% of the males hunted are passed three years of age. However, there aren’t a lot of lands available for public access. But with $322 you can kill at most two bucks from over four million whitetails. Texas also gave birth to the manner of deer leasing. Aside from mule deer and elk, whitetails are also accessible in their over 81 acres (or 32.7 hectares) for every legal hunter. However, it is a very expensive state to hunt in, with prices for non-locals at $364 and locals will only pay $34. Their deer population is currently at 25,000. This state has the highest hunting rates in the whole of USA with an enormous $551 for a license. There are currently more than 200,000 hunters in a 107,646 hectares of public land or 0.7% area of the state. Thus, only the fortunate can grace the private grounds. 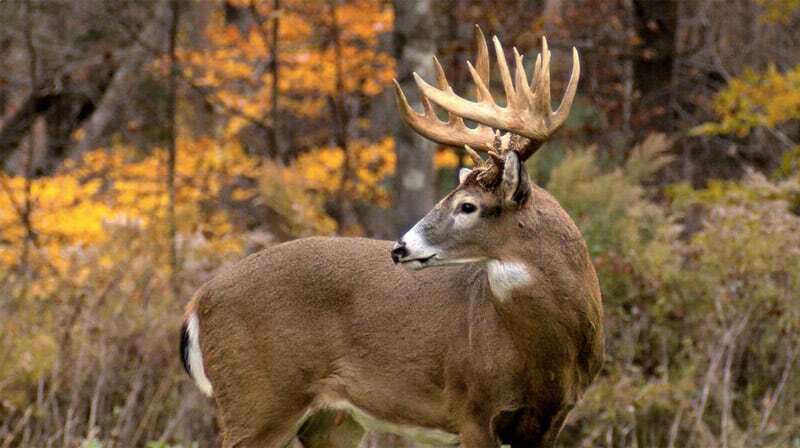 Iowa was historically the #1 state for whitetails from 1830 to 2001. This northern state is one of the best places to hunt because of the vast areas for public access at a measurement of 930,000 hectares for more than 250,000 hunters. Hunting density is low because you’ll likely be all alone. The hunting rate is quite affordable at $286 than the $551 in Iowa. The climate in South Dakota is freezing at winters. However, this didn’t cause to the dwindling of the whitetail population in the state at 300,000. This state offers one most affordable hunting licenses for non-locals at $272. There is more than enough place for 156,000 hunters for 809,000 hectares of land. Big bucks could be hunted there but are currently low due to overhunting. Nebraska is a good place for deer hunting because there aren’t as many hunters as in other states but they compensate with their massive male whitetails. The land open for 178,000 hunters at a price of $229 is 282,000 hectares. You can hunt two deer or even six at $350 in this land where it is known for being cheap, at 3.36 hectares for every licensed hunter from over 1 million hectares of public land. Kansas is home to 650,000 whitetails in an area of 170,000 hectares of public land. 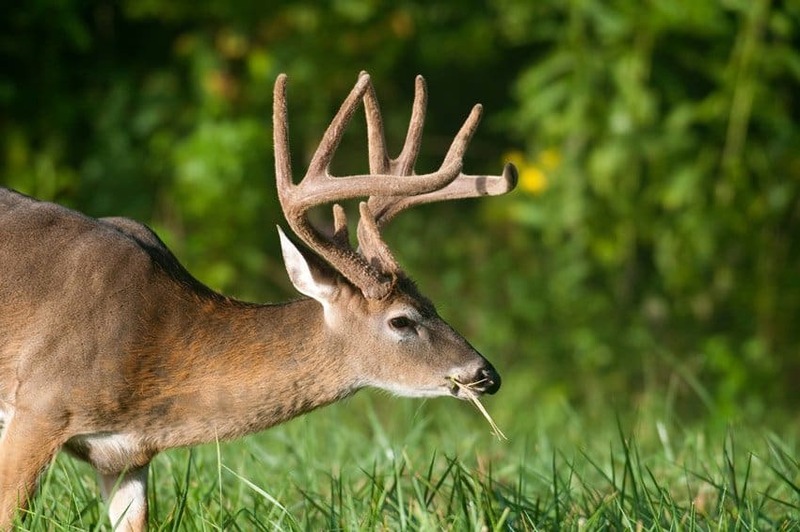 From 2005-2010, Kansas was listed as one of the best whitetail destinations. At $364, you can hunt big bucks. This state may be not best known for large bucks, but they can brag about good genetics, affordable hunting at $260, and vast areas for public hunting. The deer population is around 900,000, and there are over 324,000 hectares. Illinois is one of the most expensive hunting states for non-locals. Hunters would pay a whopping $474 for a less than one hectare of land for every hunter. Despite the price, very large bucks could be hunted there. The 514,000 hectares for public hunting and one of the cheapest rates for as low as $137 in the country makes the Mississippi one of the best places for whitetail hunting. This is the home of larger of the large bucks. Ohio has the rights to brag about it because of the genetics to produce giants. Its trophy potential is well-known throughout the country because of cheap rates at $149 for the 263,000 hectares land. Wisconsin is home to 1.2 million deer hunted annually by 700,000 in a public land that is 2 million hectares big. Lease rates are mainly cheaper at 2.8 hectares for every hunter at a rate of $160. You can have the opportunity for your name to be listed in the record book because of the chances to hunt large bucks in size. This state boasts a population of 1.3 million deer for a land of more than 1 million hectares. Annually, there are at least 487,000 hunters that have hunted typical and non-typical whitetails from the days of yore. The price to pay starts at $225 and you can shoot in a 2-hectare ratio for every hunter. Home of the top destination for hunting whitetails in 2015, Minnesota’s one of the best places to hunt whitetail deer. There are currently 580,000 hunters spread out in 3.2 million hectares, the largest public ground hunting in all of the USA. Some records say that there were deer that died of old age, without being killed! Hunters can legally hunt here for a license at $165 and find good bucks.